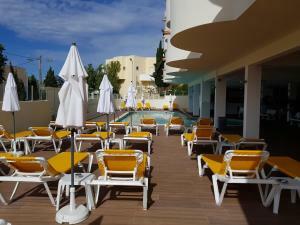 We have used this property in Alvor many times and will continue to do so. It is comfortable and very clean and the staff are friendly and helpful. It’s best feature is the location , handy for everything! Great location, very central to everything, lots of great restaurants only metres away! Love the location as everywhere I went was in a short walking distance, staff were friendly and helpful, had an issue with the toilet and they sorted it out immediately. This was the best apartment I have ever stayed in! 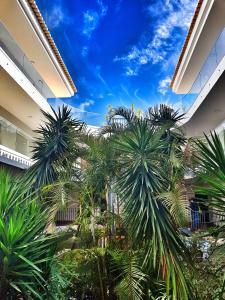 It was very big, spotlessly clean, lovely surroundings , quite, staff were lovely, great location I could not say enough about it. I will most definitely go back again and again. If only all apartments and staff were like this. A joy to stay - and I most certainly am not a relative of anyone connected to it . The whole complex was kept clean and tidy . My apartment was spacious and spotless with a great view of the sea . It has a fantastic sun deck and totally private . Staff very friendly and gave me full customer care. Thank you . 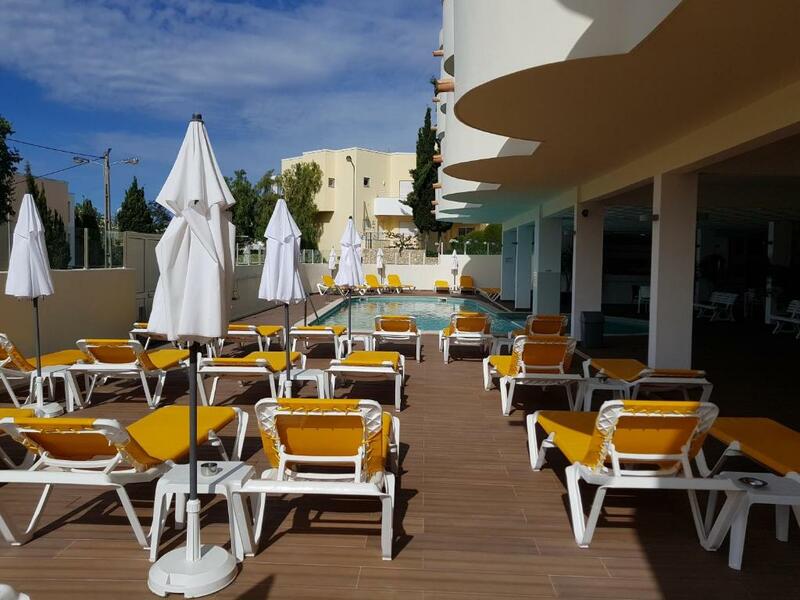 So convenient for exploring Alvor and surrounding area. Lock in a great price for AlvorMar Apartamentos Turisticos – rated 9 by recent guests! AlvorMar Apartamentos Turisticos This rating is a reflection of how the property compares to the industry standard when it comes to price, facilities and services available. It's based on a self-evaluation by the property. Use this rating to help choose your stay! Located 1,000 feet from Alvor riverside promenade, Alvormar Apartments complex is 0.6 mi from Alvor Praia Beach. It provides an outdoor pool, massages and Atlantic Ocean views. Featuring a balcony, the air-conditioned apartments and studios include a cable TV and kitchenette with microwave. Most have views of the ocean. Set by the pool, Alvormar’s bar provides snacks and beverages throughout the day. Several restaurants and bars can be found within a 5-minute walk, including some by the beach. The small garden has sun loungers and there is a children’s play area. Free WiFi is available in public areas and the 24-hour reception can provide assistance with car and bicycle rental. Portimão city is just over 10 minutes’ drive from Apartamentos Turísticos Alvormar and Faro Airport is less than 1 hour by car. 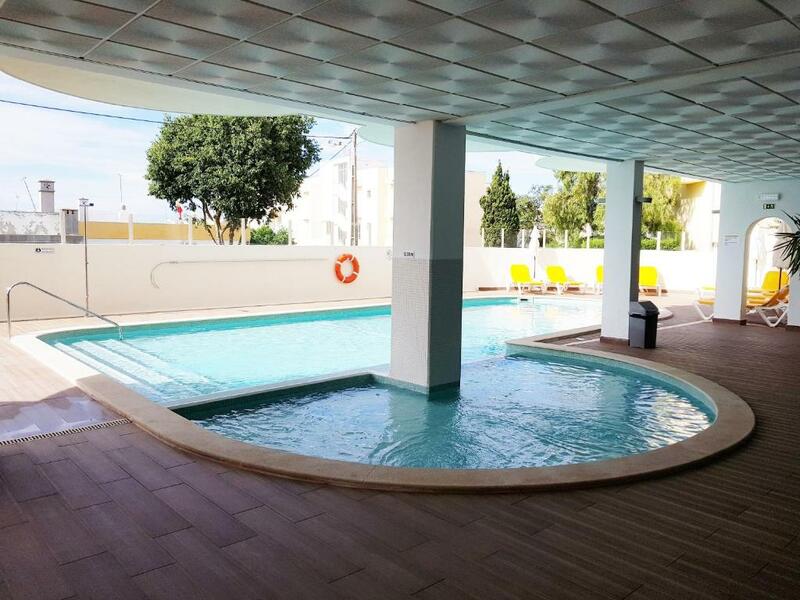 This is our guests' favorite part of Alvor, according to independent reviews. 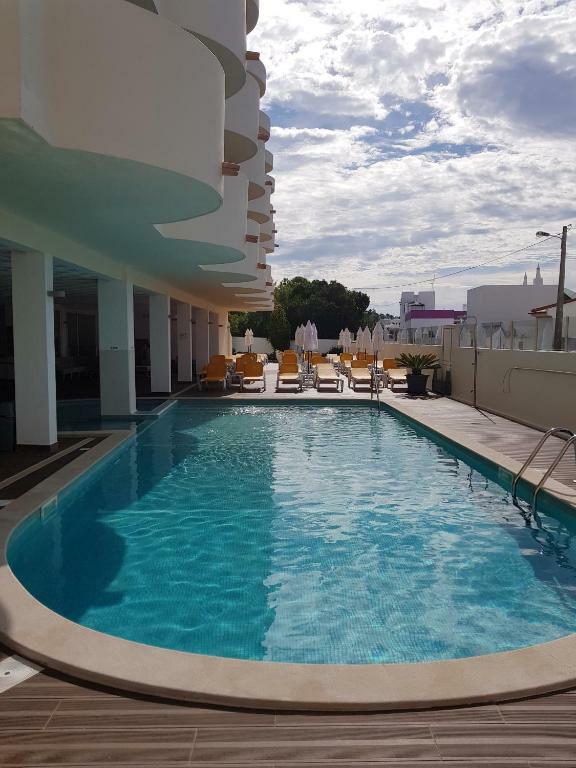 This property also has one of the top-rated locations in Alvor! Guests are happier about it compared to other properties in the area. 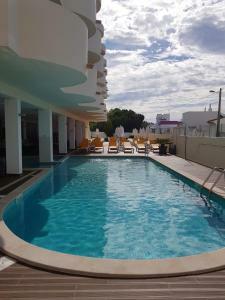 This property is also rated for the best value in Alvor! Guests are getting more for their money when compared to other properties in this city. 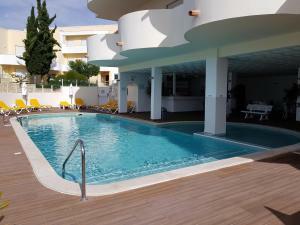 뀐 Located in the top-rated area in Alvor, this property has an excellent location score of 9.5! When would you like to stay at AlvorMar Apartamentos Turisticos? This apartment has not been renovated yet and is located on the 1st floor. Featuring a balcony, this air-conditioned apartment includes tiled floors and wooden furniture. Each provides a cable TV and kitchenette with microwave, while most have views of the Atlantic Ocean. This apartment can accommodate 3 adults and 1 child up to 12 years of age. This apartment has not been renovated yet and is located on the 1st floor. This studio features a balcony, an oven and a sofa. This apartment has not been renovated yet and is located on the 1st floor. Featuring a balcony, this air-conditioned apartment includes tiled floors and wooden furniture. Most units have views of the Atlantic Ocean. It provides a cable TV and kitchen with microwave. This apartment can accommodate 4 adults and 1 child up to 12 years of age. This fully renovated apartment can be either located on the top floor or on the 2nd floor, south side, and features a balcony, an equipped kitchenette, a cable TV and air conditioning. It has a maximum capacity for 3 guests. Featuring a private terrace, this refurbished top-floor apartment comes with a fully equipped kitchen, air conditioning throughout and single beds. This renovated apartment is located on the garden level and offers direct access to the garden and swimming pool area. It features a private terrace with 2 sun loungers, a fully equipped kitchenette, a cable TV and air conditioning in every room. It can accommodate 2 guests. This renovated apartment is located on the garden level and offers direct access to the garden and swimming pool area. It features a private terrace with 2 sun loungers, a fully equipped kitchenette, a cable TV and air conditioning in every room. It can accommodate 3 guests. This fully renovated apartment is located on the 2nd level on both sides of the building facing the street or the garden and features a balcony, an equipped kitchenette, a cable TV and air conditioning. 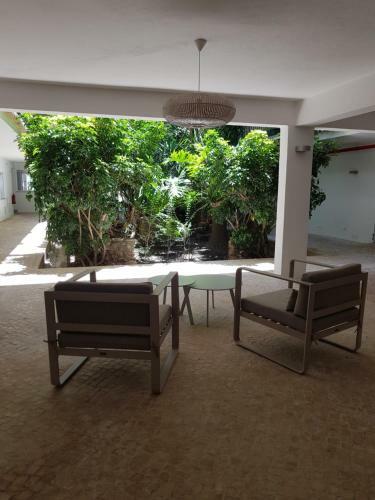 This renovated apartment is located on the 2nd level of the building facing south side and features a 2 balconies, a fully equipped kitchen, 2 bathrooms with shower, a cable TV and air conditioning. It has a maximum capacity for 5 guests. This renovated studio is located on the 2nd level of the building facing south side and features a balcony, a fully equipped kitchenette, bathroom with shower, a cable TV and air conditioning. A pitoresca Vila de Alvor representa uma ligação entre a história, o património e a beleza natural. Convidamo-lo a subir e descer as ruas em busca da melhor vista sobre o casario e para uma das paisagens mais impressionantes do Algarve: a Ria de Alvor. House Rules AlvorMar Apartamentos Turisticos takes special requests – add in the next step! AlvorMar Apartamentos Turisticos accepts these cards and reserves the right to temporarily hold an amount prior to arrival. Guests should inform Apartamentos Turisticos Alvormar of the total number of people in the reservation. The Special Requests box can be used to provide this information while booking. Please inform AlvorMar Apartamentos Turisticos of your expected arrival time in advance. You can use the Special Requests box when booking, or contact the property directly using the contact details in your confirmation. Cannot find a fault really only thing was my apartment was right next to the metal staircase so bit of noise early in the morning but not too much to be fair. Provision of toiletries & better quality of towelling. The beds are like boards. No shower gel or shampoo! No problems, I was very pleased with everything. This property is Alvor's hidden secret. It is an excellent location near all amenities required, i.e. grocery shopping, restaurants, and beach. As well as a single adult I felt safe in the total environment. Everything was perfect Why only 3 star ! ?